I am so happy I got the chance to review this coloring book! I love coloring, and this one is truly delightful. I also love the bible verses/quotes that are included on the opposite page across from the drawing. It is detailed but not too intricate like some I have seen, making it fun, but also not as tiring to color. Every single page has a beautiful drawing on it. 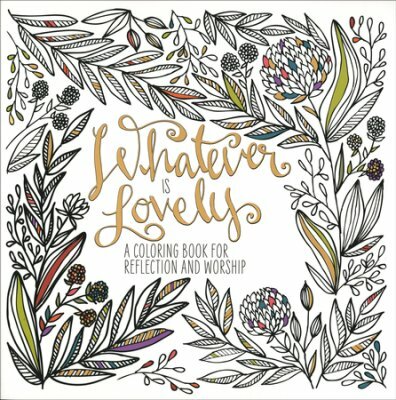 I highly recommend this coloring book if you’re looking for something to accompany your daily devotion or bible reading, or just to take a break from the day to reflect and enjoy the artwork. I received this coloring book via Blogging for Books in exchange for an honest review. All thoughts and opinions are my own. Unfortunately, I did not enjoy this book, BUT-the reason for 2 stars as opposed to 1 or none is because there was obviously something it offered for me to keep reading til the very end-even if I was disappointed. The Lake House takes readers on a journey through the 1930’s, following the Edevane family and 2003 which focuses on DC Sadie Sparrow. I don’t believe I’ll be able to properly review this without spoilers, but I will try. In 1933 baby boy Theo Edevane vanishes from Loeanneth. Police are called in, searches performed relentlessly to no avail. Fast forward to 2003 when Sparrow has been forced to take a holiday in Cornwall after going to the media with a hunch about one of her cases, one in which a baby has been found abandoned, dirty, alone, in her apartment. Sparrow (and the grandmother) firmly believe the mother of the child would not abandon her but was met with foul play. The reasons I did not like this novel were due to the fact that it was so slow-moving with tons of useless(in my opinion) passages of stories, information, detail, etc. that I didn’t feel lent itself to the outcome of the novel. I found myself often confused as well as skipping multiple pages. 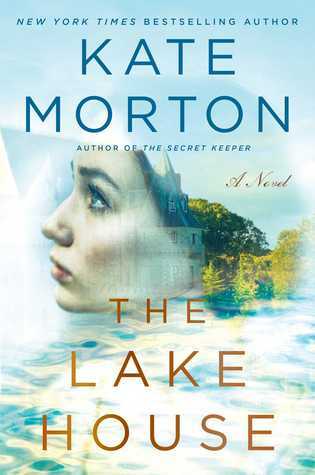 The story line weaves back and forth between Eleanor Edevane’s childhood, meeting her husband, then their life together with their 4 children in Loeanneth, to the elderly novelist Alice Edevane and Sadie Sparrow in 2003. One minute this person was definitely the culprit of the disappearance, the next minute, there’s no way it was them, must be this person. There are lots of secrets, scandal, and speculation throughout the course of this novel.The other reason for my dislike was in fact the ending. The ending just didn’t fit, it seemed way too far-fetched and fairy-tale like for this type of novel. Everything just ended up coming together in this happy ending, ‘put a bow on the top’ kind of way. I think the reasons I kept reading was because I really liked Bertie, and DC Sparrow’s passion to persevere and her instinct. I received an ARC of this book via NetGalley. All opinions are my own.